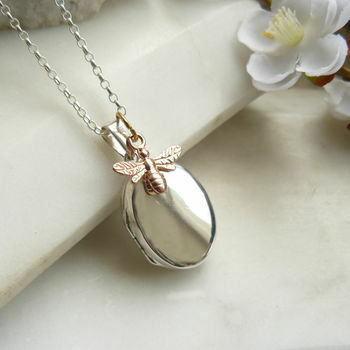 An individual sterling silver locket necklace with a gold bee charm and a semiprecious birthstone. The popularity of lockets goes from strength to strength as we all look for jewellery which has meaning and is not disposable. 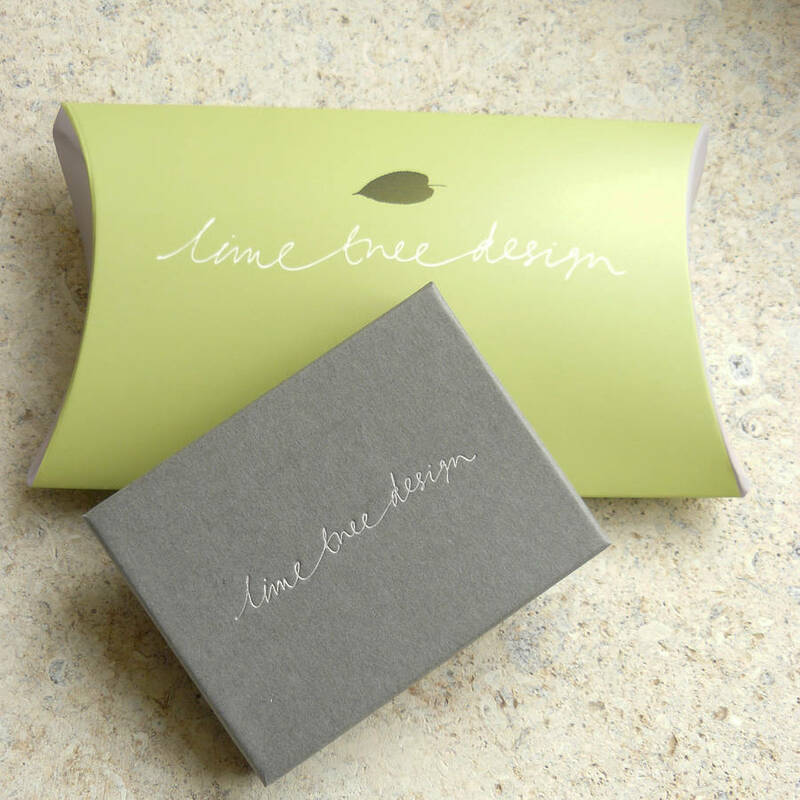 Our Lime Tree Lockets are made in the UK. The bee is a charming symbol of home, industry and sweetness. 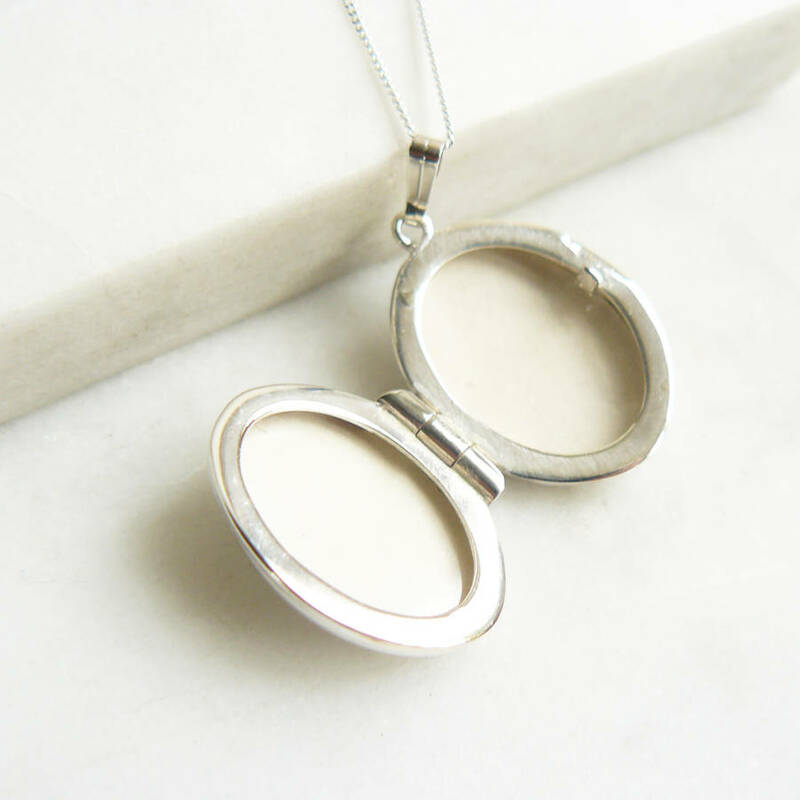 The locket opens and has two photo protectors. This makes a wonderful present for a special birthday, anniversary or for remembrance. I've made these for wives, daughters, girlfriends, wedding presents, best friends or 'just because'. 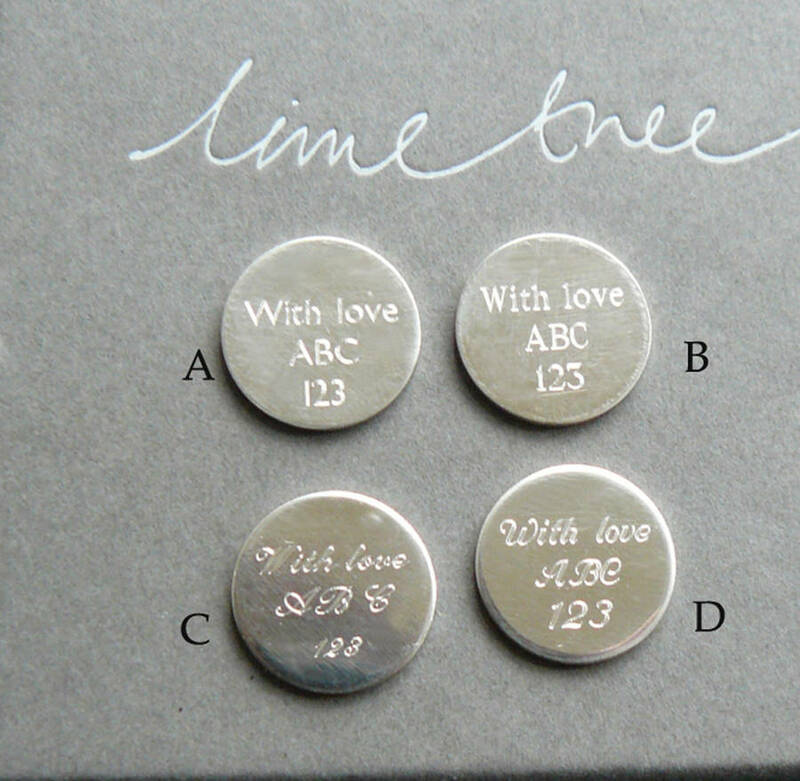 Personalise your locket by engraving your own message in a choice of font. For delivery before Christmas please chose express delivery at check out. 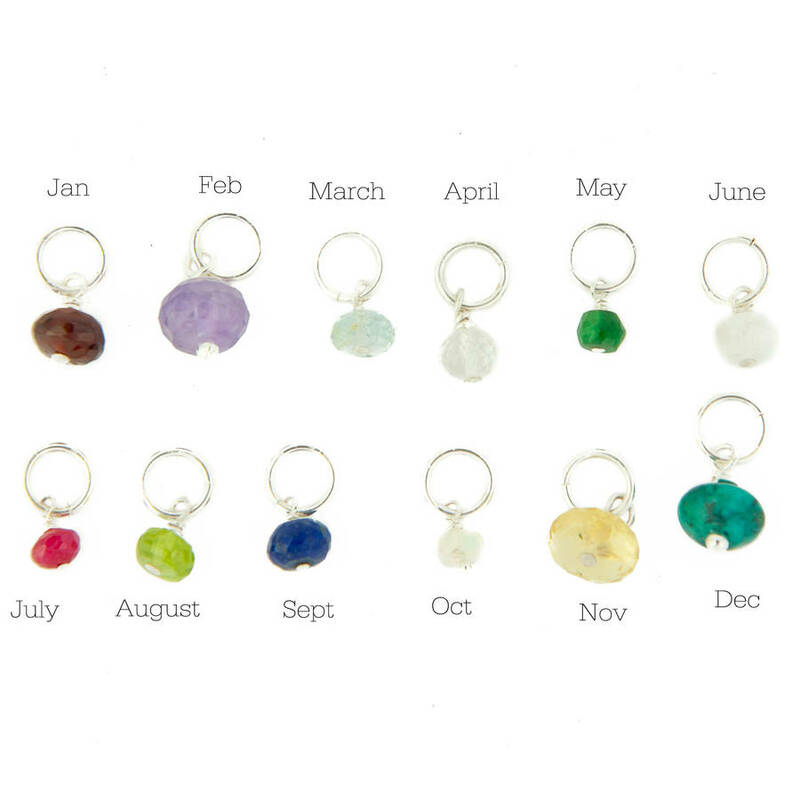 The locket is available with a choice of birthstone or semi precious bead. 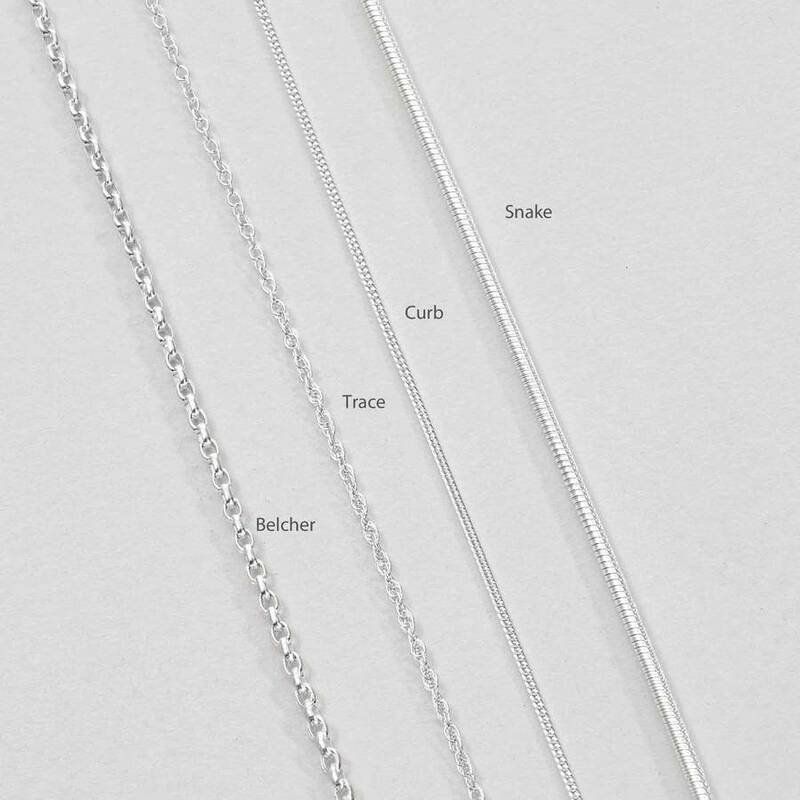 You can choose your style and length of chain. Please note that our studio does not offer a photo insertion service at this time. 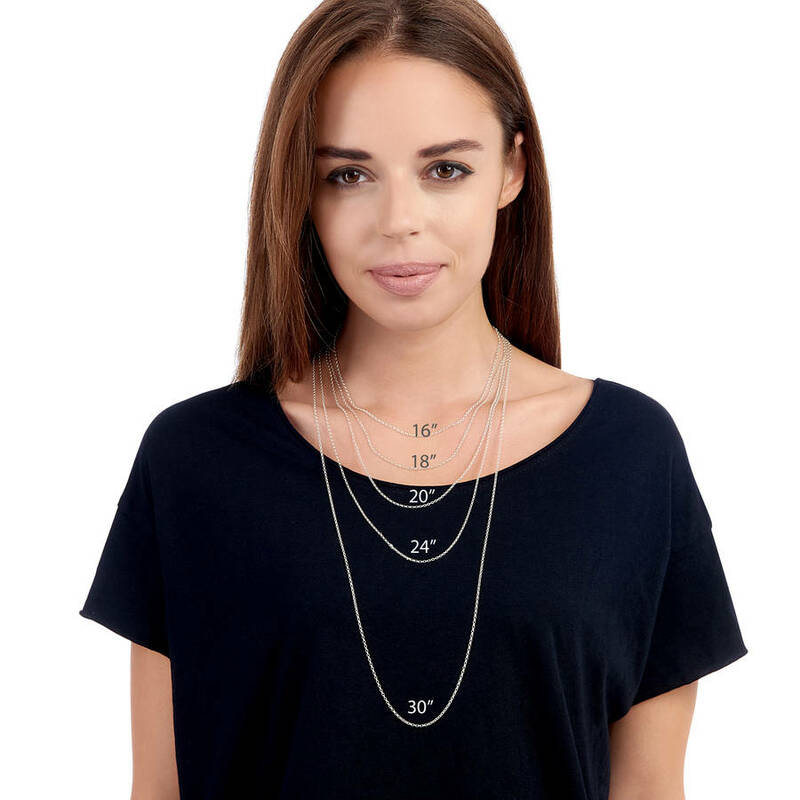 The locket and chain are made from modern sterling silver. The bee is gold vermeil ie 18ct gold plate on silver All fittings are sterling silver/925. Do not dip in silver dip - you will damage the stone. Rub with silver cloth provided to remove any tarnish. Our lockets are hallmarked.